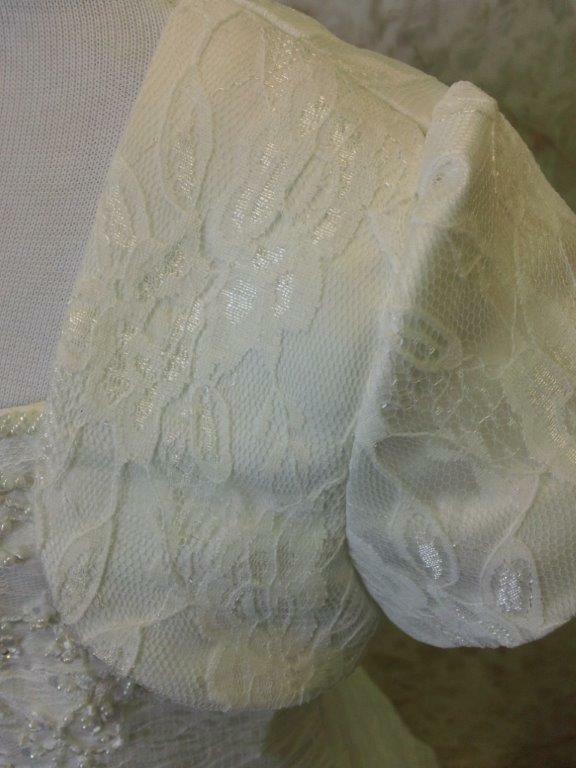 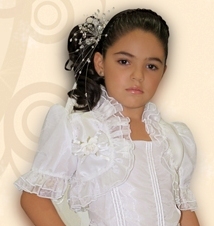 Flower Girl bolero jacket - First Communion Jackets. 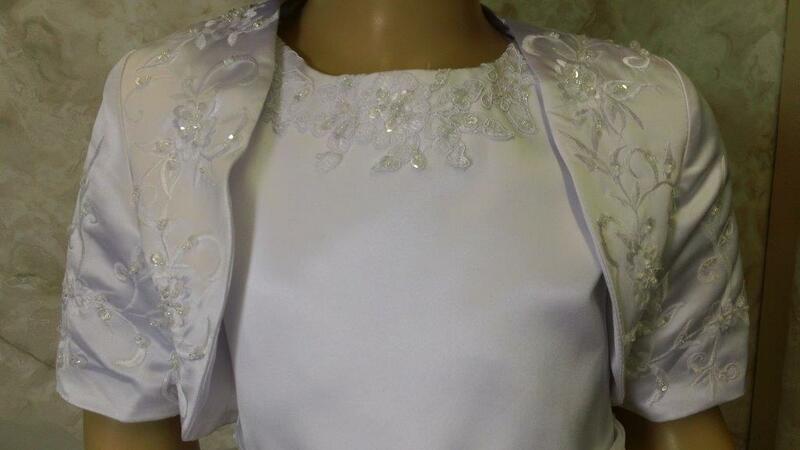 White or Ivory bolero style wedding jacket is perfect with many of our sleeveless styles. 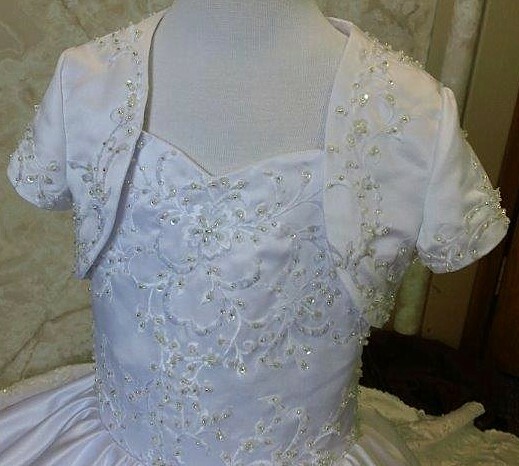 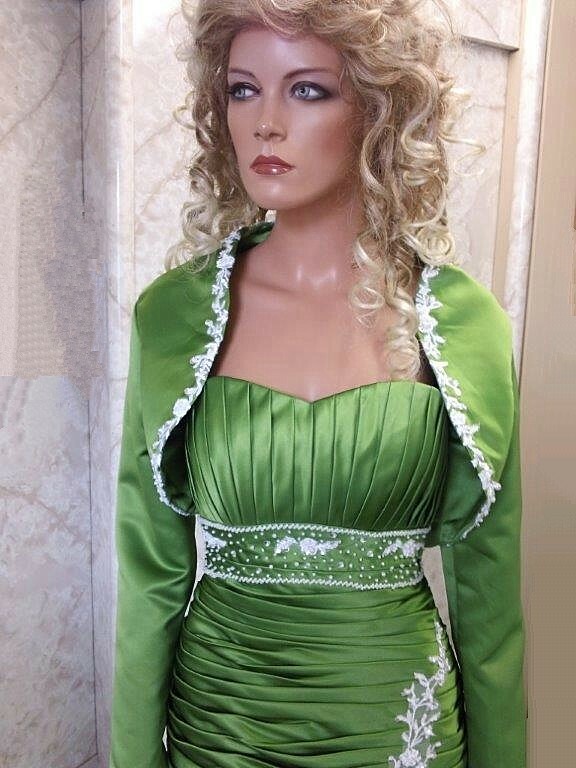 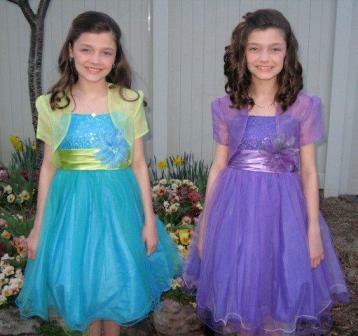 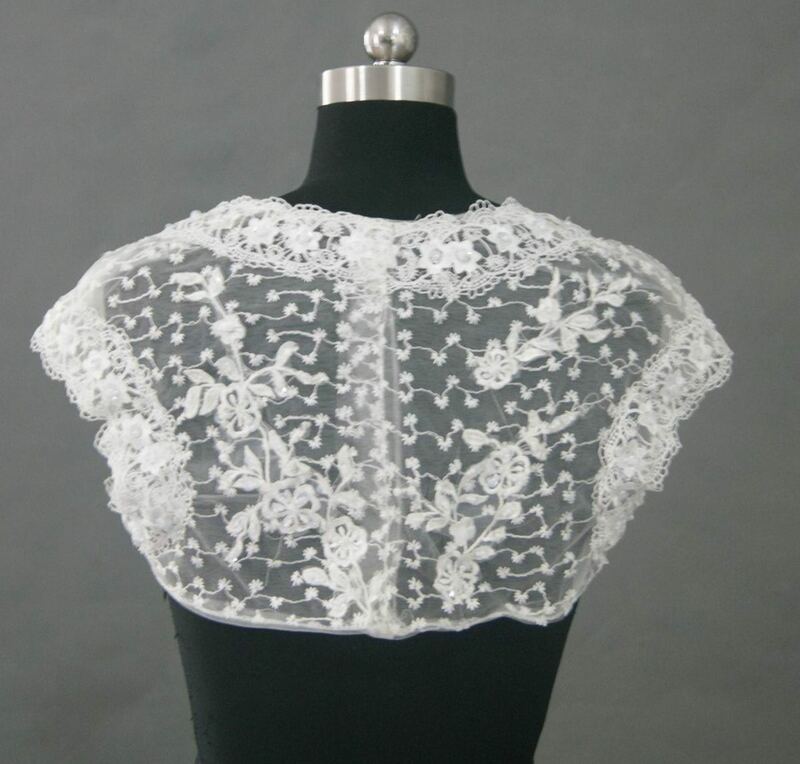 Excellent wedding dress Jacket for flower girl dresses, pageant or First Communion. 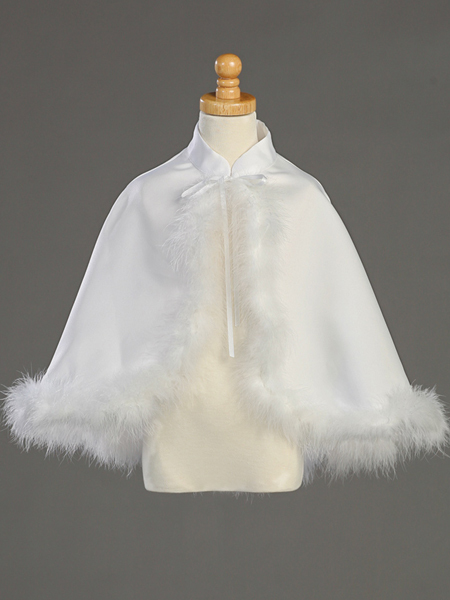 Please allow 10-14 days for delivery (subject to availability) if item is not currently in our stock. 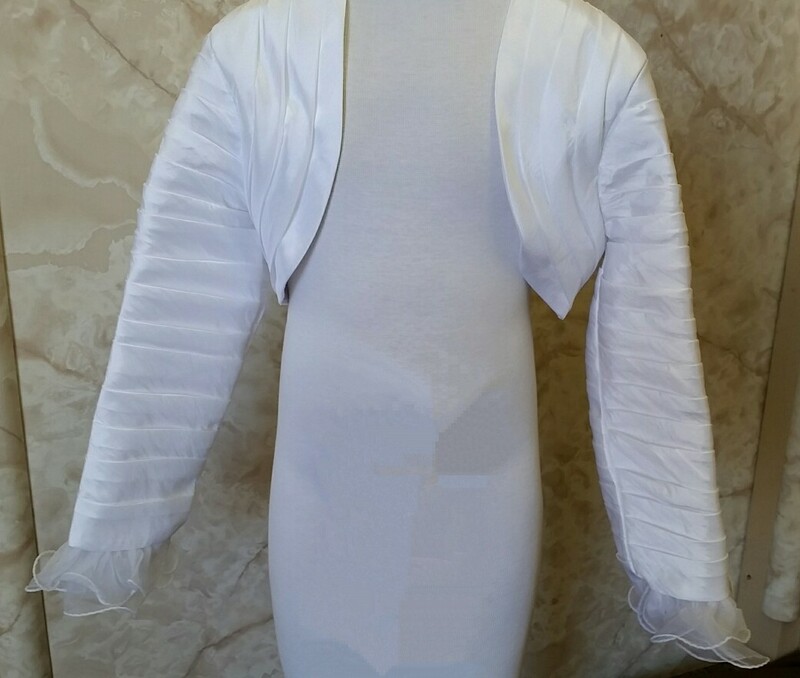 Custom jackets take 8 weeks to complete. 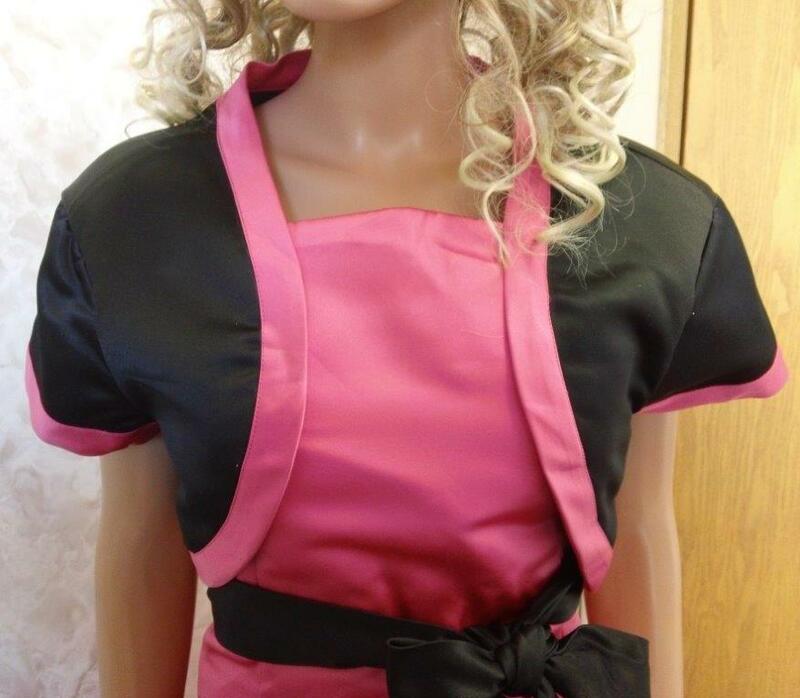 If you are in a rush, email us for inventory available - we do keep a few styles in stock. 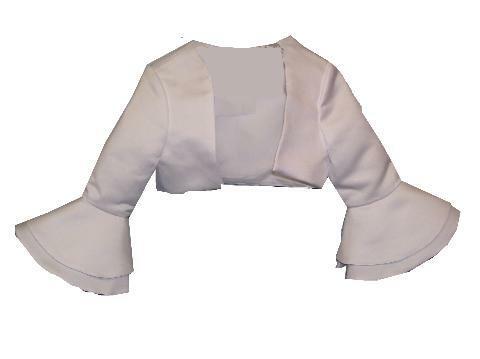 Bolero jackets are available to ship in 14 days. 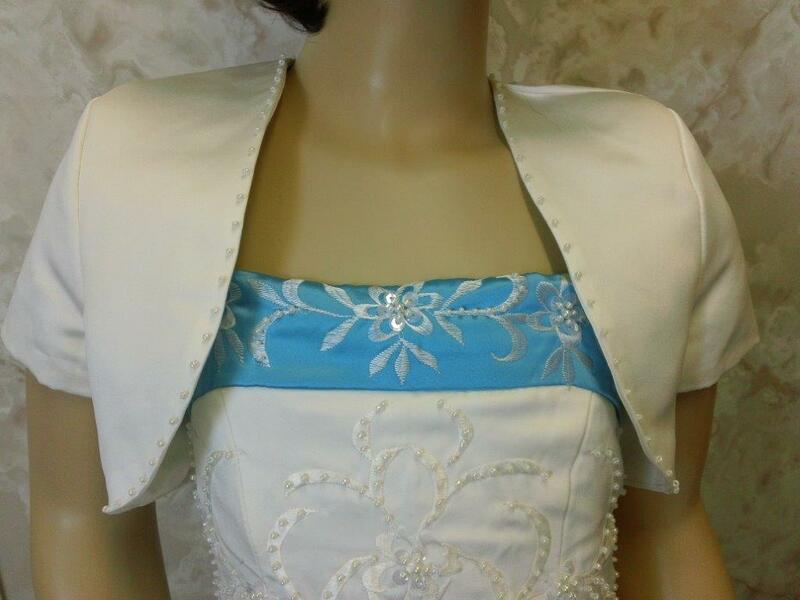 Custom made jacket with beaded cuffs. 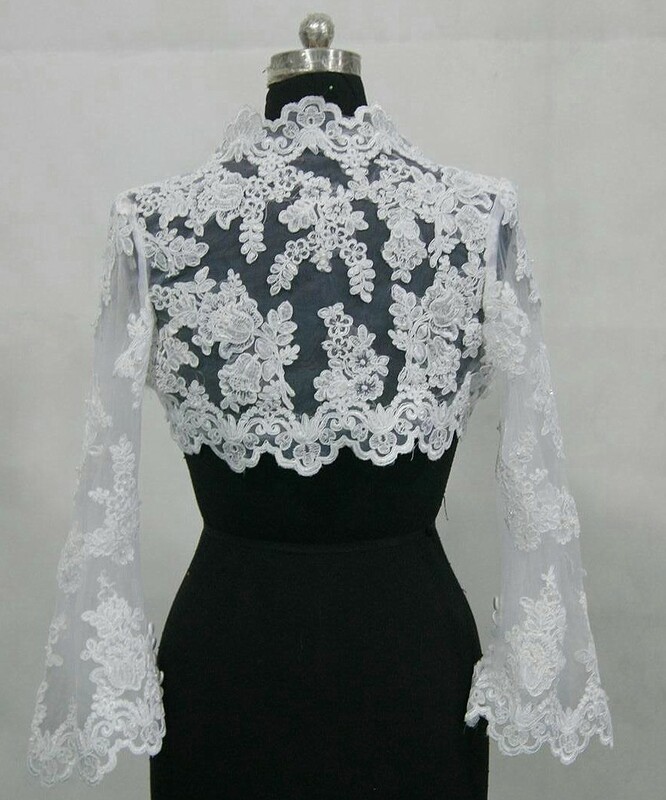 take 8 weeks for delivery. 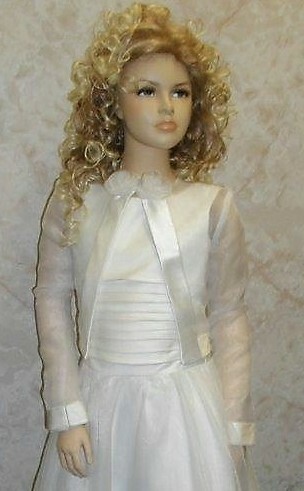 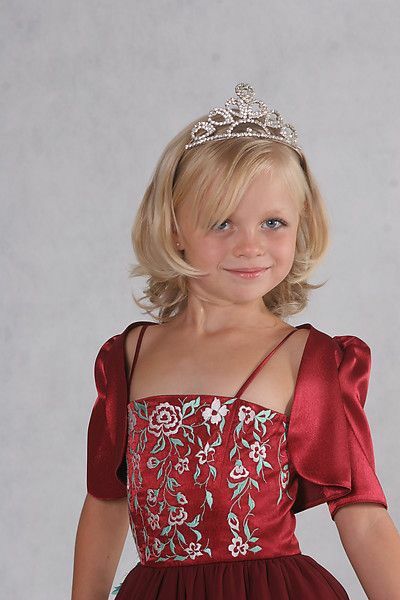 Flower Girl Jacket has three quarter length flair style sleeves. 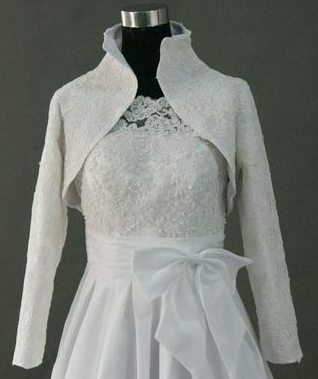 Short lace bridal jacket with long sleeves. 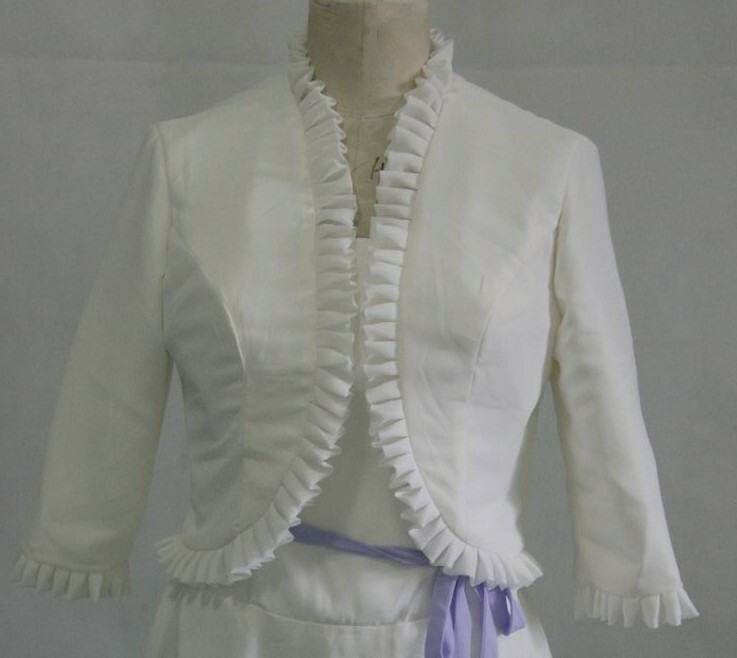 Short bolero jacket with contrasting trim. 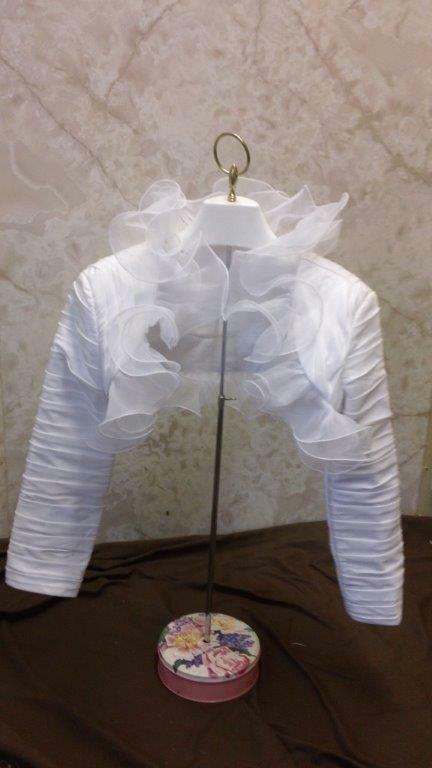 Taffeta with organza ruffles sleeve bridal bolero jackets. 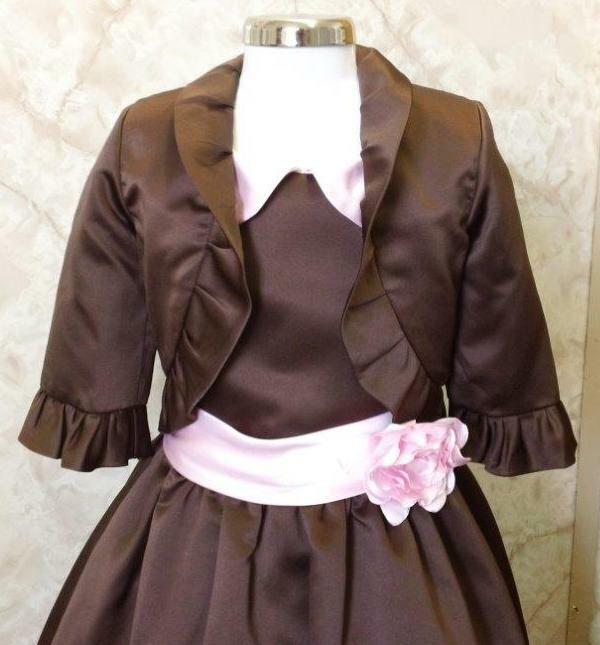 Custom bolero jackets below are available in Custom Satin Dress colors: Apple red, Antique Brass, Apricot, Azalea, Berry, Bright Blue, Black, Boston Fern, Bubblegum Pink, Burnt Orange, Buttercup, Caramel, Celery, Champagne, Chestnut, Chocolate Brown, Chrome, Copper Penny, Coral, Dark Fuchsia, Desert Sand, Emerald Green, Espresso/Truffle, Faded Denim, Flesh, Forest Green, Fuchsia, Gold, Grape, Gray, Harvest, Honeydew, Ivory, Lavender, Light Champagne, Light Ivory, Lime, Magic Mint, Mauve, Merlot, Mint Mojito, Mocha, Navy, Nutmeg, Orchid, Peach, Periwinkle, Persimmon, Platinum, Pool Blue, Pumpkin Spice, Purple Rain, Purple Passion, Red, Rust, Tangerine, Sage, Soft Yellow, Sky Blue, Sweat Pea, Teal, Truffle, Turquoise, Victorian Lilac, Violet, Viking Purple, Watermelon, White, Wheat, or Yellow.